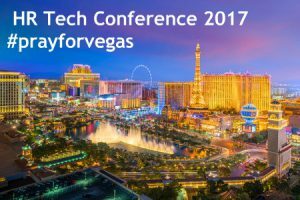 Last week, the CompareHRIS team attended the annual HR Technology Conference in Las Vegas. As the go-to conference for all things tech in the HR space, this conference gives attendees the inside track on what’s coming next for recruiting, employee engagement, performance management, and core HR software (and more). The major topic of discussion in Vegas last week was AI/machine learning. We heard about intelligent analysis and data predictions in the form of predictive analytics, performance management tools, chat bots, emotional intelligence, and more. We’ll give more details in the coming weeks, but for now, let’s take a high-level look at the big trends in this field. 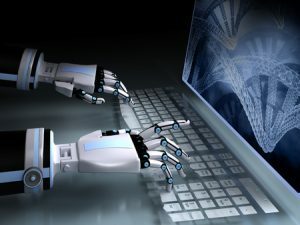 Who’s Using AI for Human Resources? Ultimate Software—Ultimate Software unveiled their highly anticipated AI technology innovation, Xander. Xander uses natural language processing, sentiment analysis, and data to analyze employee feedback, make predictions, and recommend actions that will support both employees and managers. HireVue—HireVue has created an intelligent video scoring product that assesses job candidate video interviews using an AI algorithm. The technology looks for behavioral cues like eye contact and facial expressions to assess candidate fit for a position or culture. Entelo Envoy—Entelo Envoy screens candidate databases for matches using data and predictive analytics. It uses machine learning to perform unbiased searches designed to identify not only which candidates qualify for your position, but also which ones are most likely to be interested in the job. Are You Ready for AI in Your Workforce? Data—You must have a good data foundation in place before you can leverage AI. That means fully integrated data storage, clean data records, and strong data entry processes. For example, do you enter the same piece of data in more than one place? Do you have duplicate records? If not, how can you improve the integrity of your data to prepare for new technology? Culture—Technology is moving at an overwhelmingly fast pace, and employees aren’t keeping up. It’s time to move past discussions of technology adoption and focus instead on integrating technology into employee workflows strategically so that it becomes second nature. Reskilling—Advancements in automation often mean skill shifts in the workforce. If you automate data analysis, how can you retrain the employees who currently perform those tasks to use their skills in more effective ways? Reskilling requires a fresh look at your learning management and training programs, with a shift toward adaptation and flexibility rather than simply training for a specific task. As Leapgen CEO Jason Averbook reminded us in Bill Kutik’s session, placing a new layer of technology on top of a flawed foundation is like putting frosting on a moldy cake. Before you buy the frosting, take a good, hard look at the cake so you can savor the final result. Artificial intelligence for HR is admittedly still in its early stages. Josh Bersin predicts that we will soon see significant advances in AI for many HR applications including personalized coaching, performance management, data interpretation/predictive analytics, employee services, recruiting, learning management, and more. It’s a brave new world out there. AI is already extremely relevant to HR. And soon it will be indispensable. When you’re ready to update your HR software, we make it easy for you! Our HRIS Comparison Tool matches your company with the right software product based on your specifications. https://www.comparehris.com/blog/wp-content/uploads/2017/08/comparehris-logo.png 0 0 Susan McClure https://www.comparehris.com/blog/wp-content/uploads/2017/08/comparehris-logo.png Susan McClure2017-10-17 19:37:172017-10-18 18:41:41HR Tech Conference 2017: What's Next in AI for Human Resources? How do you make decisions in the HR department? Do you go with your gut? Or have you started following the growing trend toward data-based decision-making? We have reams of data at our fingertips these days, and using that data to make better decisions seems like an obvious choice. But it’s not always easy to pull out meaningful information from the digital stratosphere—the kind that helps you understand your workforce and improve performance. In a forest of data, sometimes it’s hard to find individual trees. They don’t have an integrated data system. If you’re storing data in multiple places, it’s difficult to pull that data together into a meaningful report. That’s why many HR software platforms use a single database to store and track all your data, whether it’s coming from payroll, core HR, or your ATS. Platforms that use a best-of-breed model have also made great strides in data integration, giving you immediate access to the key metrics you need. Whichever model you choose, be sure you have the functionality to access key data easily. They don’t gather enough data. If you don’t collect the data in the first place, you can’t analyze it later. This can be difficult if you have an outdated HRIS or you’re still operating with spreadsheets. 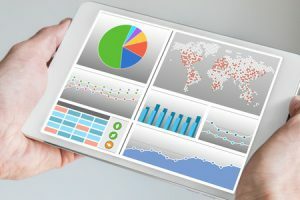 If you’re ready to take the next step with data analytics, you may need to consider updating your workforce management software first. They don’t know what to measure. Now we’re getting into the subjective realm of workforce analytics. Which metrics matter? Which ones will give the insights you need to make better decisions? That’s what we’ll look at next. Once you have a robust HR software platform in place, you can gather and track data to improve the effectiveness of your workforce management strategy. Take some time to put together your key performance indicators based on your business objectives, your organizational goals, and the information that matters most to senior leaders in your company. Remember, your goal is to track data that can help you make better decisions for individuals, departments, and the company as a whole. Before you can accurately gauge this metric, you’ll need to decide what productivity means for your company. Is it hours logged? Calls made? Sales closed? Projects completed? Carefully consider how you monitor employee productivity, and track performance over time. When measured alongside productivity, employee satisfaction can indicate how engaged your workforce is. Performance reviews help you rate employee satisfaction, but you can also use tools like performance assessments, teambuilding initiatives, and incentives to see which employees are happiest at work. Use mobile alerts and email reminders to get feedback when you need it. Tracking turnover rates can be helpful, but measuring voluntary turnover (people who leave your company by choice) can give you an even better look at whether your employees are satisfied in their roles. Keep your eye on numbers, but also consider conducting exit surveys to ask employees about their reasons for leaving. Is your training program getting the job done? Measure training expenses per employee, and create a checklist of training goals for each employee. Monitor increased productivity over time as trainees complete their goals and compare against your training costs to determine whether your training program is meeting expectations. Just about everyone tracks retention, but can you break down retention rates by manager or department? This will help you identify any weak points in your organizational structure, and let you know whether your managers could benefit from additional management training. The right metrics can help you improve talent acquisition, performance, retention, profitability, and much more. But it all starts with the right software. Do you have the tools you need to create a strong workforce management strategy? Are you in the market for new workforce management software? Find your perfect match with our HRIS comparison tool! Remember what it was like to be a new employee? Your first day on the job was exciting and scary at the same time. But it’s even more intimidating when you don’t know what people expect from you or where you should turn your attention first. Now multiply that times 100. That’s how your new managers feel on their first day if you don’t’ take time to prepare them for their roles. 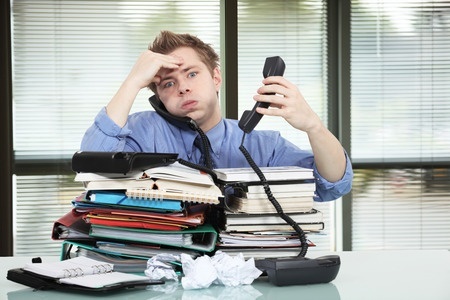 So what can you do to set your managers up for success? Bad managers share the responsibility for low employee morale, poor engagement, and sagging productivity rates. According to Gallup they account for up to 70% of the variation in employee engagement statistics. In other words, good managers create happy employees; bad managers create unhappy employees. But bad management practices aren’t always solely the manager’s fault. Many new managers are thrust into leadership roles with no guidance about expectations, company culture, job responsibilities, or the dynamics of the team. If you understand the value of onboarding a new employee (better engagement, higher productivity, increased retention), it should make sense that the value increases exponentially for managers. Their actions and reactions will create a ripple effect that extends to all of their direct reports and colleagues. So we agree that manager onboarding is important—but how do we pull it off? What is the secret to a manager onboarding program that delivers the results you want? Here are seven keys to doing it right. Don’t assume that a manager’s years of experience mean he or she will automatically know what to do. Take the time to communicate job guidelines, company culture, and expectations for managers. Make organizational strategies and goals clear as well as the specifics of the job. Help managers get to know their new team members by providing background on the people they will be managing. Talk about strengths and weaknesses, interpersonal dynamics, and any other information that might be relevant to the role. For example, if someone on the team was passed over for a promotion, let the new manager know so she doesn’t walk into a hornet’s nest. One of the best ways to orient managers to their new team is to facilitate one-on-one meetings during onboarding. These meetings don’t have to be long. Even a few minutes talking with each employee can give the new manager a feel for the opportunities and challenges he might be facing. Do you have a training strategy designed to help new leaders become better people managers? Remember, just because an employee is good at her job doesn’t mean she will be a good leader. She needs to know how to motivate people, how to resolve conflict, how to communicate effectively, how to provide helpful feedback, and much more. Don’t just toss her into the role and expect her to sink or swim. During onboarding, use assessments to get a feel for the new manager’s leadership style and personality. This information will help you equip each manager with the tools he needs for success. Use your HRIS to facilitate the manager onboarding process. Many of the same strategies you use for entry-level hires can also carry over into management onboarding. For example, consider assigning a mentor who can monitor progress, create goals, and monitor training. Your HRIS will keep everything on schedule and make it easy to complete paperwork and provide feedback. People management is no joke. It takes a specific skill set to effectively lead a team of people, keep them on task, and help them reach their personal potential. Manager onboarding is one way to make sure your managers have the tools they need for the job. And that’s good news for your entire organization. 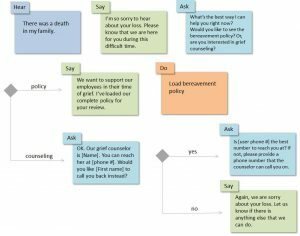 Does your HRIS make the onboarding process easy? If not, it’s time for an update! 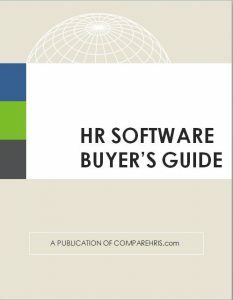 Our HRIS Comparison Tool helps you choose the right software for your company based on your specific requirements. Get your free software short list today! Today’s workforce landscape looks vastly different from the one workers experienced twenty years ago. In fact, you might say mountains have fallen into valleys and new peaks have thrust up from the flatlands. And if by mountains you mean “old methods of workforce management” and by new peaks you mean, “new collaborative methods based on enhanced technology”—then you wouldn’t be far from the truth. 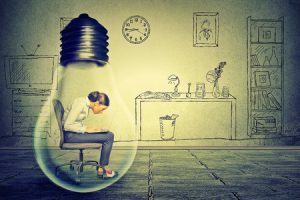 Technology advancements have sent seismic shocks through the workplace, leaving many companies scrambling to realign priorities in their wake. And if all that sounds a bit melodramatic to you, then think of it this way: People have changed. Their expectations about work have changed. To keep them engaged and productive, you need to change too. Predictive analytics can show you how. What Does Predictive Analytics Have to Do With It? We’re seeing exponential growth in sectors like data management and analytics. Along the way, somebody got the bright idea to use all that data to predict future outcomes. It’s called predictive analytics, and it’s surprisingly (or maybe not so surprisingly) accurate. In the HR office, we use predictive analytics to make projections about employee behavior and performance. For example, knowing how an employee has behaved in the past, how many jobs he has held, and how long he stayed in each position can give you insight into how long he’s likely to remain with your company. 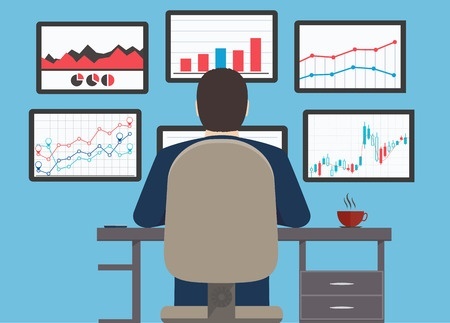 So how can you use predictive analytics to create value for HR? In their most recent Global C-Suite Study, IBM surveyed more than 5,000 C-level executives to find out what they think about business and technology. The CHRO perspective delved into how organizations can use technology to support employees more effectively, design collaborative workplaces, and create flexible business models. As you can see from the percentages in the chart, the number of CHROs using predictive analytics to make decisions in the workplace is still relatively small. But it’s growing. As predictive analytics becomes more widely understood, we will see more HR executives using the data they collect in their HRIS or other data management systems to make projections about things like: what factors influence an employee’s productivity or engagement; how likely it is that a given employee will leave his or her job; and how small changes in collaboration and communication will impact performance. We’re still on the brink of the true potential data has to transform our workforces. But savvy businesses have already begun investing in the technology and personnel that can leverage HR knowledge for the greatest business value. If you’re ready to invest in new technology for your HR office, we can help! Take our free HRIS comparison survey to create your software shortlist. With summer in full swing and vacation requests proliferating like mosquitoes, many companies experience a sluggish season in terms of productivity. But that doesn’t mean you can coast. We’re halfway through 2017 (already!) and it’s a good time to pull out your HR resolution list and check in. Back in January, we posted our top eight HR resolutions for this year. Whether you used our list or came up with your own, it’s time to ask yourself how you’re doing. Have you made progress toward your goals? Is your HR department embracing the digital and cultural revolution—or is it still treating people like business byproducts instead of strategic team members? 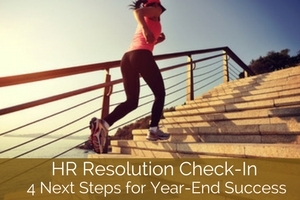 The good news is that it’s not too late to kick those HR resolutions into gear. As they say, success is achieved one step at a time. You still have time to get the ball rolling on some of 2017’s top trends before the end of the year. Coaching—Give employees real-time feedback to help them become more productive in their roles. New employees will benefit from a mentor who can show them the ropes and help them acclimate to the culture. Reviews—More frequent, actionable reviews produce better results than an end-of-the year checklist. Peer reviews and self evaluations are also great ways to provide feedback on goals and performance. Leadership and Development—Rusty Lundquist predicted that 2017 would see major developments in performance, manifested in part through more intentional leadership training and L&D efforts. As collaborative teams become a more common internal structure, leadership skills will bring greater value to the organization as a whole. Recruitment Marketing—This is the external component of building your employer brand. 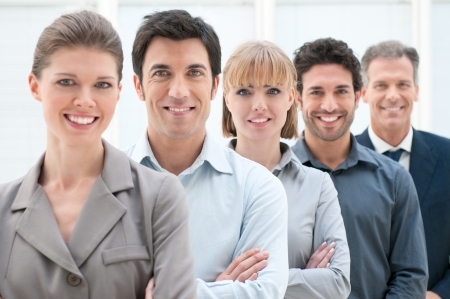 Marketing your culture to prospective employees is one of the best ways to attract new talent. Candidates want to know the full picture before they jump on board. 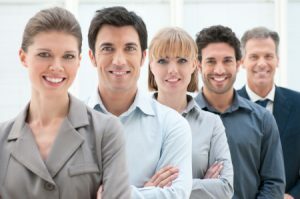 Onboarding—Once a candidate has joined your team, you’ll focus on communicating your company values and mission to him or her. Think about what it means to work for your company and how you can infuse that into your onboarding process. Employee Experiences—It does no good to market a fantastic culture if that doesn’t reflect reality. Emphasize positive employee experiences by promoting strong communication, effective management, and frequent feedback. Turnover—What are your turnover rates and how much does it cost to replace an employee? Retention—How long do employees typically stay with your company? What have you done to increase retention and what numbers can you show to demonstrate results? Performance—How quickly do you bring new employees up to full productivity? 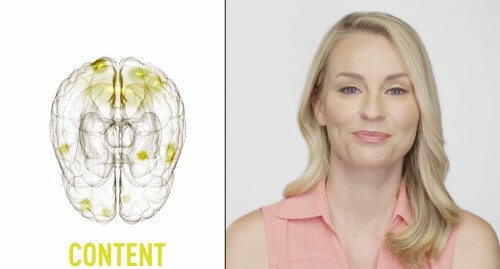 How can you make employees more efficient or more effective? 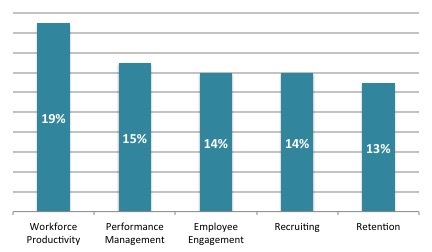 Engagement—How engaged are your employees? What impact does that have on the first three metrics? Mobile—Consider mobile apps to manage time/attendance, performance feedback, goal setting, internal communication, schedule planning, and more. Make it easy for employees to handle HR tasks from their phones or tablets. Performance Tracking—Use your HR software to help employees set goals, complete training assignments, and respond to feedback. Managers can track employee performance using alerts, notifications, reminders, and goal setting features. HCM Systems—If your entire HR software platform needs an overhaul, look for an HCM system that provides the capabilities we’ve discussed above. Position yourself to take the right steps this year and into the future with a software system that helps you achieve your goals. 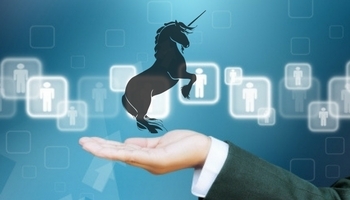 Transparency has become the new buzzword for effective HR departments. As you implement new processes and technology, transparency will help you strengthen your culture and communicate it effectively to your employees. And that will be something to celebrate come December.